Community Giving Project - April 2019 Bonus! Women's Empowerment International was founded in San Diego, California in 2006 by a group of visionary women with an ambitious goal: To assist desperately poor women living in underserved rural communities with tools to improve their lives. Together, they launched a 501(c)(3) nonprofit organization focused on funding small, repayable loans to help women start modest, income generating businesses. With their income, women would support themselves, educate their children and slowly, strengthen their communities. In time and with great effort, the cycle of poverty is disrupted and change is created for future generations. Over the last decade, in partnership with nonprofit organizations in six countries, Women’s Empowerment International has raised and funded more than $1 million dollars in micro-loans, training and practical support to 17,000 disadvantaged women worldwide. 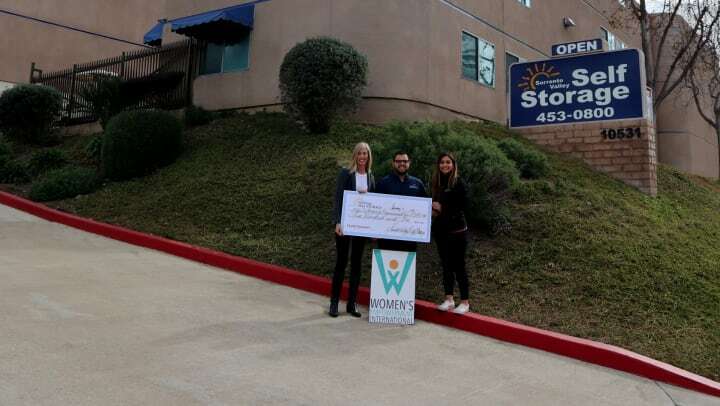 The team at Sorrento Valley Self Storage could not be more proud to provide their 2019 community giving funds to Women’s Empowerment International. You can learn more about this incredible organization at: https://womenempowerment.org.